There are a staggering number of free software tools out there. Here are my favourites which I recommend to my clients. This is a very helpful plugin for Microsoft Word which is written for people with dyslexia. 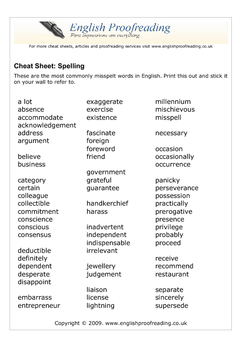 It uses a contextual spell checker, which means that it will catch more mistakes than traditional spell checkers. Even if you don't use Microsoft Word you might also find this free online service of value. This is my first time I used Samantha's service. Hopefully not the last. Great help, effective communication, quick response and deadline compliance. Thank you very much. Would recommend, definitely!